TaylorMade's longest driver, the TaylorMade M1 has a multi-material construction - featuring an ultra-thin, ultra-light and high-strength carbon composite crown – that unlocks breakthroughs in distance, playability, and feel for all Hong Kong golfers. Each player has a unique swing and in the past it’s been challenging to provide ideal launch conditions to all player types with a single club. The construction of the TaylorMade M1 allows better players to create the shot they want and other golfers, the shot they need. The M in the TaylorMade M1 stands for Multi-Material and it’s the key that unlocks performance in M1. 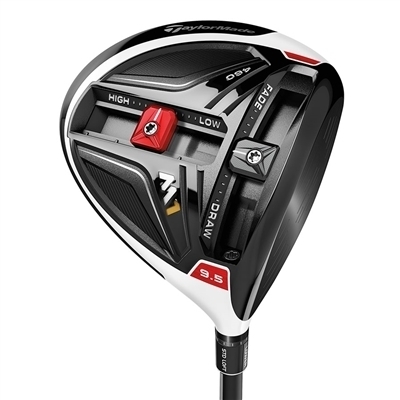 This construction is highlighted by TaylorMade's proprietary 7-layer Carbon Composite Crown that is precision-formed and built ultra-thin, ultra-lite and high strength to maximize weight savings. This addition has allowed TaylorMade to build a weight-loaded sole and move overall clubhead weight (and, thus, the center-of-gravity) lower for a more efficient power transfer; giving golfers more ball speed. The Carbon Composite Crown has also allowed TaylorMade to give golfers 25 grams of multi-directional adjustability, allowing them to personalize launch conditions – fit to their swing - and optimize ball-flight, trajectory and, ultimately, distance.